Ive got code 16 and 36. Lo res fail and hi res fail. It happened when I went to put the car in reverse to park and the car just shut off and threw those 2 codes. I just did a Cam swap so the opti may have gotten wet or something I'm just hoping someone might be able to suggest another solution before I replace it. I'm going to comb over the wires when I get a chance. My knock sensor is also being way over sensitive to where it wont let my car run. I disable it and it will run like a champ but obviously I don't want to drive around without a knock sensor after a bunch of new mods. Check the harness connectors for the Opti. 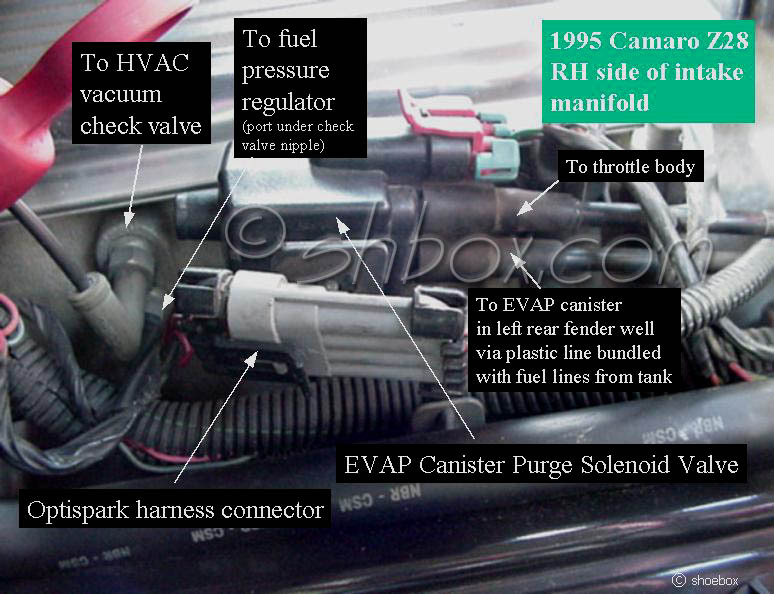 The harness starts with the gray 4-pin connector on the bracket on the passenger side of the intake manifold, and plugs into the Opti. At least the original Opti and earlier replacements have a connector at the Opti. Some newer aftermarket replacements do not have the connector at the Opti. The complete harness from the gray connector is permanently attached to the Opti. The connector at the Opti will often corrode with a nasty blue-green corrosion, probably due to the ozone generated in the non-vented (93/94) Optis. Or you may have bent or damaged a pin in the connector, or not have it fully inserted. 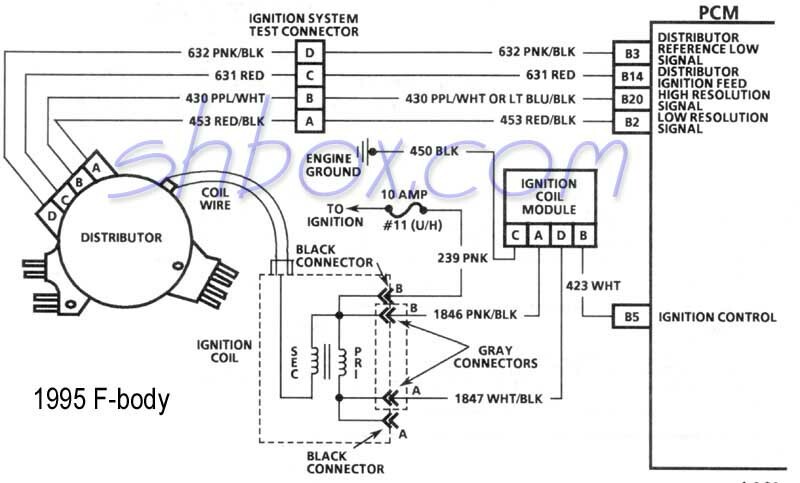 With the engine cranking, harness connected, measure the voltage on the high and low resolution wires (see schematic below). When measured with an AC voltmeter, the low res signal should pull the 5 volt reference down to 1 to 2 volts. The high res signal should pull the voltage down to about 2.5 volts. The engine can start and run without the high resolution pulse.